Free Shipping Included! 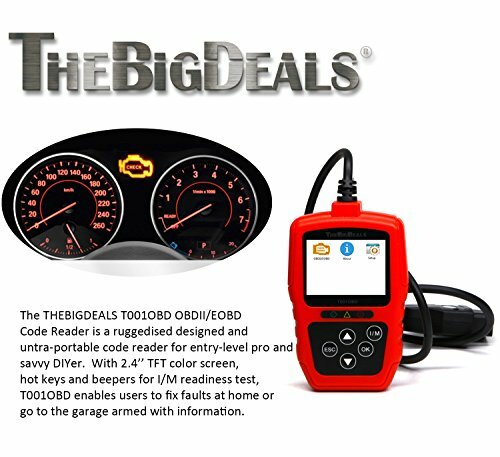 THEBIGDEALS T001OBD OBD II Scanner Car Engine Fault Code Reader CAN Diagnostic Scan Tool OBD2 scanner by THEBIGDEALS at Lazaranda Dallas. 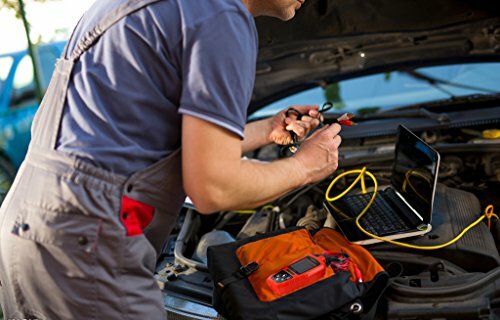 MPN: T001OBD. Hurry! Limited time offer. Offer valid only while supplies last. 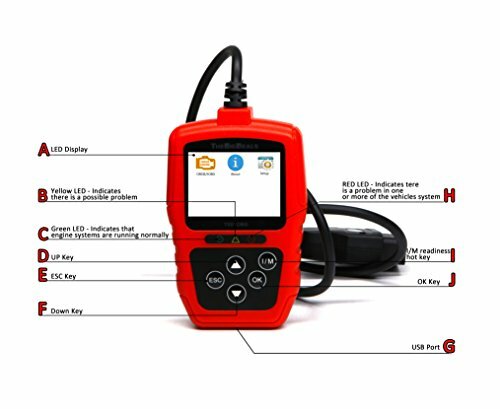 【Function:】I/M readiness hot keys make it easy to use this tool right out of the package; Read / Clear stored & pending codes, turn off Check Engine Light(MIL) and resets monitors; View on-screen fault code definitions; Read freeze-frame data(displays DTC definitions); Read real-time live data streams from the engine sensors; Graph live engine data on screen; Retrieve VIN, Cal ID and CVN identifiers from ECU. 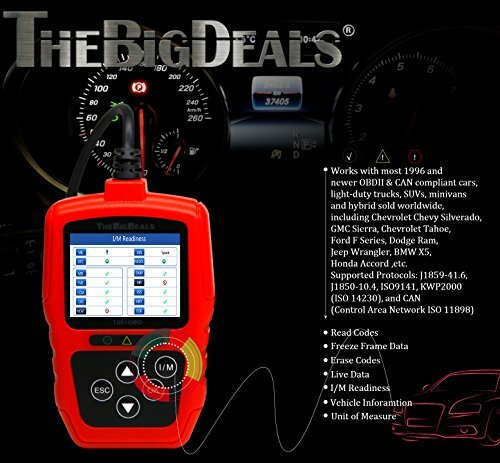 【Application: 】Works with most 1996 and newer OBD 2 & CAN compliant cars, light-duty trucks, SUVs, minivans and hybrid sold worldwide,including Chevrolet Chevy Silverado, GMC Sierra, Chevrolet Tahoe, Ford F Series, Dodge Ram, Jeep Wrangler, BMW X5, Honda Accord ,etc. 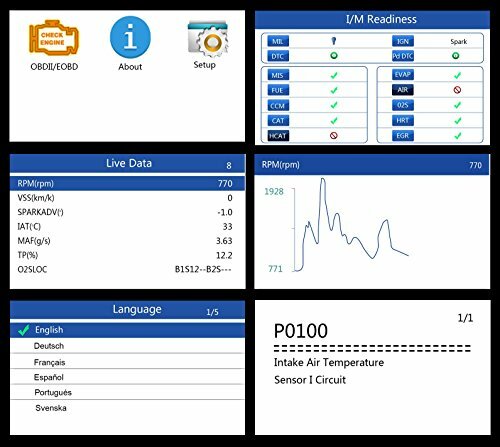 【Service:】Multilingual menu options-It supports English, French, German, Polish, Russian, Spanish, Italian, Portuguese, Hungarian, Dutch; Lifetime FREE software and firmware update,update websites. 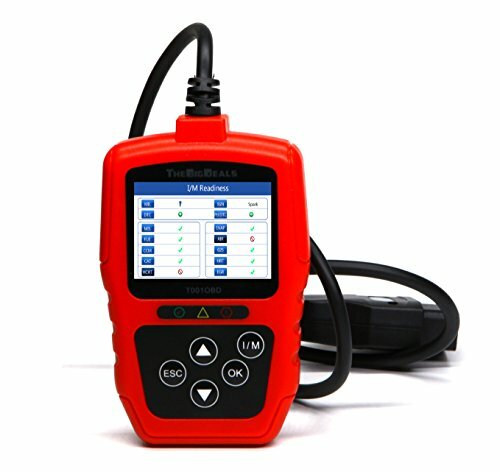 【Design:】Automatic VIN acquisition and decoding makes it much easier to read manufacturer specific codes and enhanced mode 6 data; Asimple click from the short-cut menue to enter update mode; Ergonomic grip handle, bulging membrane switch, gilding metal pins. 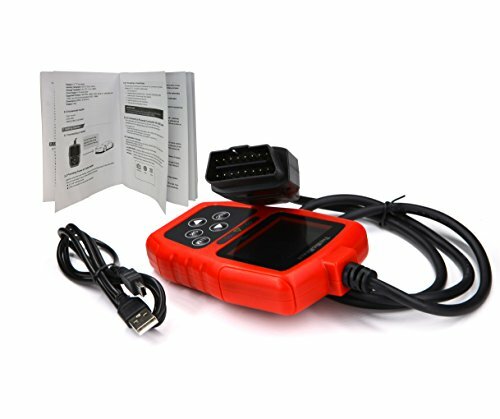 【Warranty】This CAR DIAGNOSTIC TOOL will come with 30 days HASSLE-FREE RETURN & 3 year UNLIMITED REPLACEMENT PROMISE. If you don't like it, just return it and get a full refund, All we wanna do is to make you love this scanner.